Stay connected worldwide, for less with this 4G Internet Dongle. The Huawei E3372-153 is unlocked so you can use any SIM card inside. 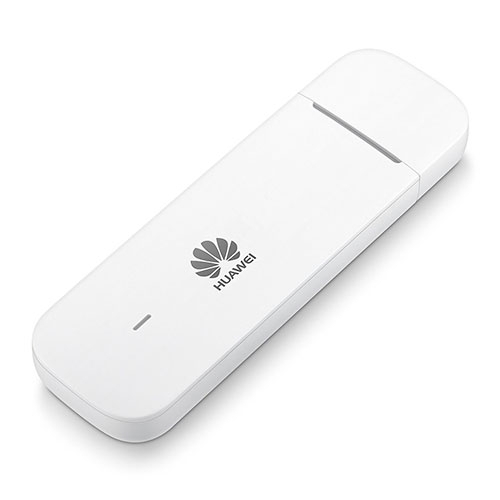 The compact E3372-153 Huawei 4G Internet Dongle is compact and fits easily in your pocket. The E3372-153 comes unlocked so you can use any SIM inside. You will receive a free WorldSIM 3G Data SIM card free. Store up to 32GB of data on this device by using the Micro SD card slot. SD Card not included. The Data roaming SIM card which is included with your Pocket WiFi is comes with free credit so you can start using it immediately, if you purchase this product with more credit you will get better value for money. Credit will expire only if the SIM isn’t used for a year. 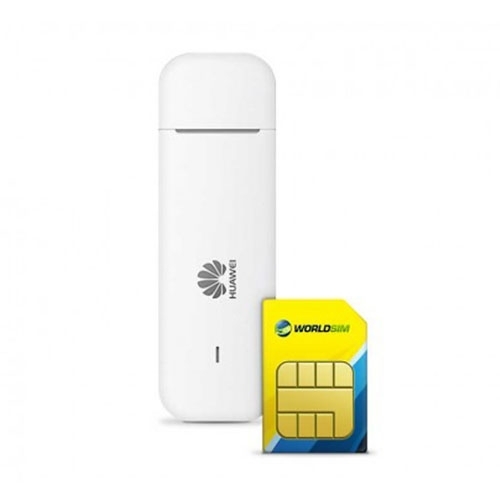 Use any SIM inside the E3372-153 Huawei 4G Internet Dongle as it’s unlocked to any network. Benefits from fast download speeds of up to 150mbps. The E3372-153 Huawei 4G Internet Dongle is simple to use, just plug in and start browsing the internet immediately. Easily fitting in any pocket the E3372-153 Huawei 4G Internet Dongle is compact and lightweight. 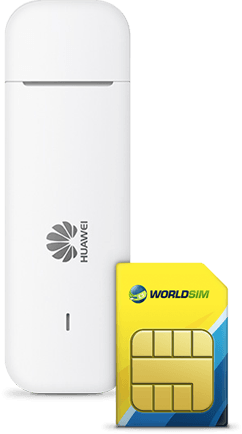 Receive a free 4G worldwide data SIM card with your E3372-153 Huawei 4G Internet Dongle, giving you low cost data in 188 countries. Our customer service teams are available 24 hours a day, 7 days a week if you need any assistance. Use the Micro SD card slot to store your files on the E3372-153 Huawei 4G Internet Dongle. SD Card not included.